This book consolidates various aspects of nanomaterials, highlighting their versatility as well as how the same materials can be used in seemingly diverse applications spanning across disciplines. It captures the multi-disciplinary and multi-functional aspects of nanomaterials in a holistic way. 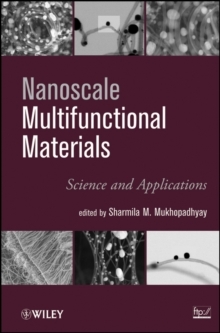 Chapters address the key attributes of nanoscale materials that make them special and desirable as novel materials; functionality that emerges based on these unique attributes; multiple uses of nanomaterials incuding combining properties and materials selection, and then separate chapters devoted to energy, biomedical materials, environmental applications, and chemical engineering applications.